I walked yesterday morning at the park beside the middle school. At 9am it was a already a sauna. Visibility stopped at the trees that edged the soybean field beside the path. Everything beyond that border was just a ghostly sillhouette of hill or house. The air was hot and heavy, sticking to my skin, my clothes, my lungs. Somehow I managed to get my three miles in. Thank you Gin Blossoms, ZZ Top, and the Black-Eyed Peas – I never could have done it without you. As I made my sweaty way back to the car, I decided I’d had enough of outside for the day. Fun Friday would not be any sort of outdoor activity. 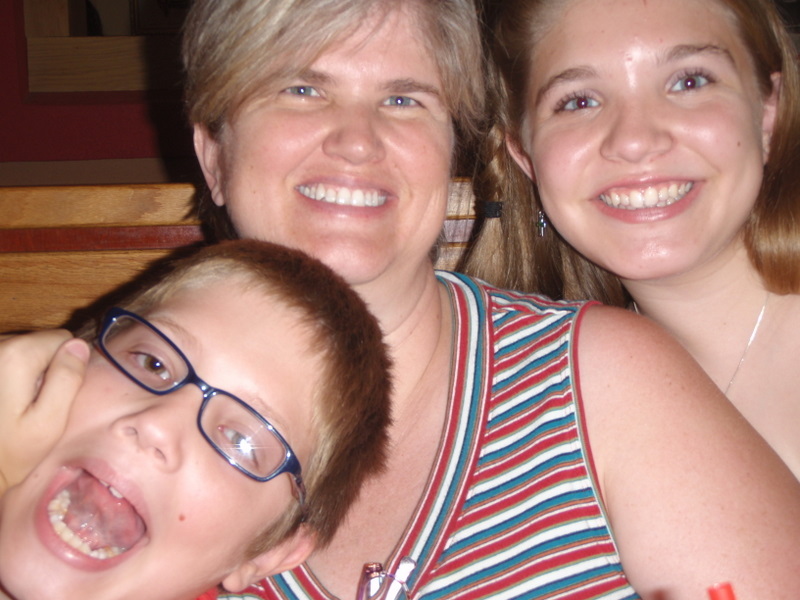 As the Mom and financial backer for the outing, I was putting my foot down. As it turned out, I didn’t have to play the heavy. The kids wimped out too, opting for indoor activites – even dissing swimming much to my shock. My sister-in-law Karen and I discussed options, lingering over bowling for awhile. We finally settled on Red Robin for lunch and a trip to Chocolate World. 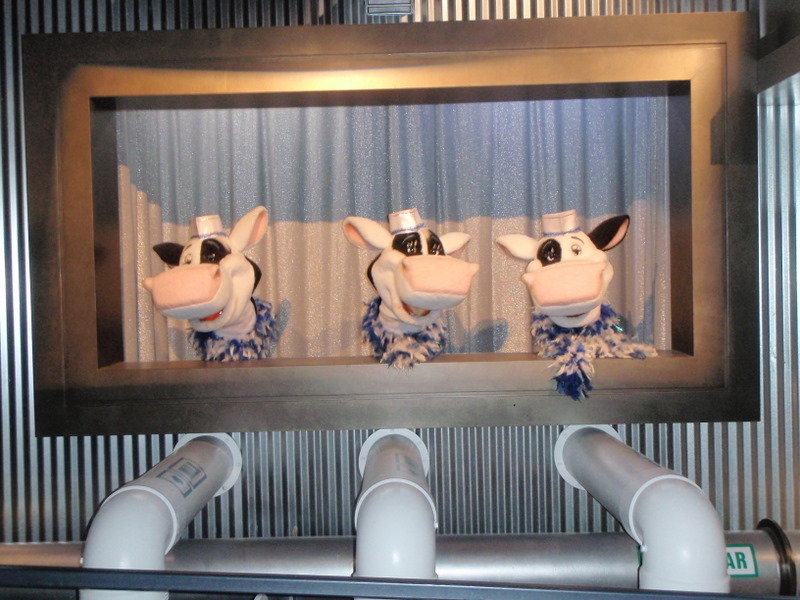 It surpised me how much the kids were into it because we’ve done Chocolate World so many times before. I was into to it because Chocolate World is free. What would have been even better is if Red Robin was free as well. It is not. 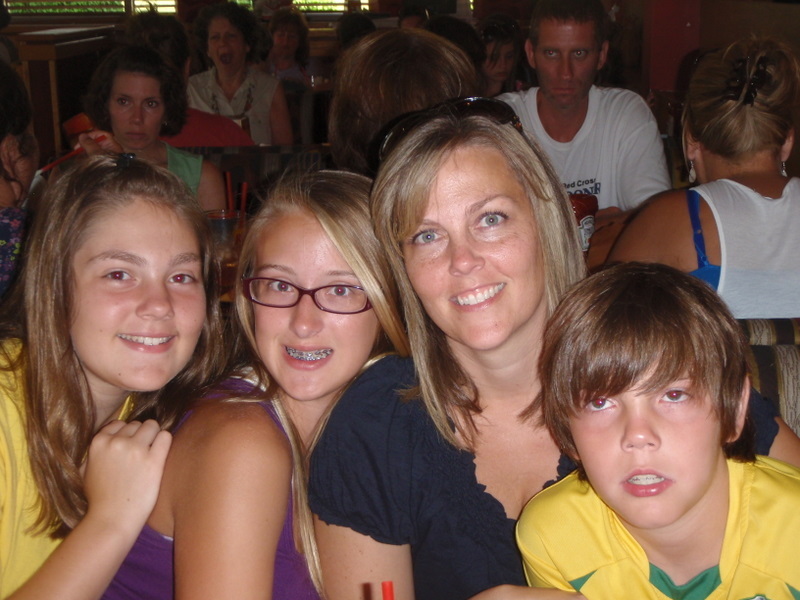 We met Karen, Lu-Lu and Charlie at the Red Robin in Hershey for a late lunch. It was a very good meal. Out waitress was friendly and attentive. The girls talked. The boys drank bottomless root beer floats. And, of course the burgers and such were very good. 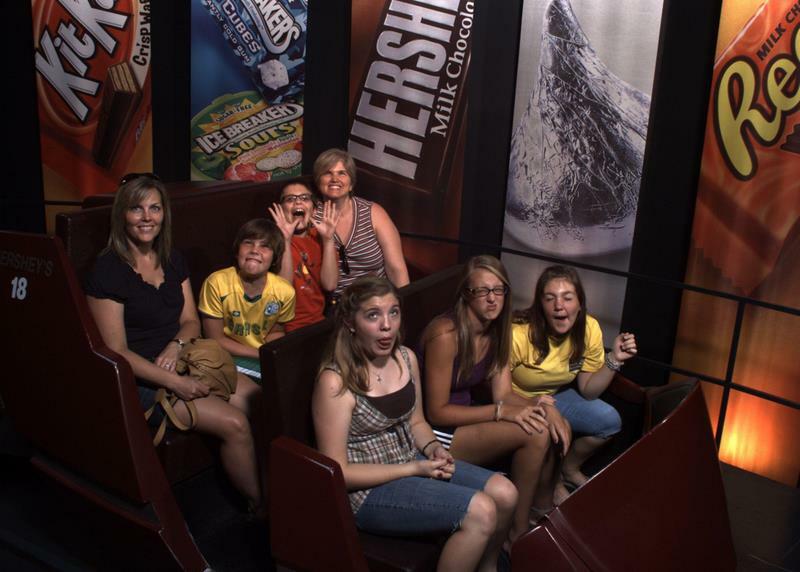 After lunch, we headed to Hershey Park to experience Chocolate World. We found spaces in the free parking area and hightailed it inside. The blast of cool air that rushed out when we opened the doors was heavenly. 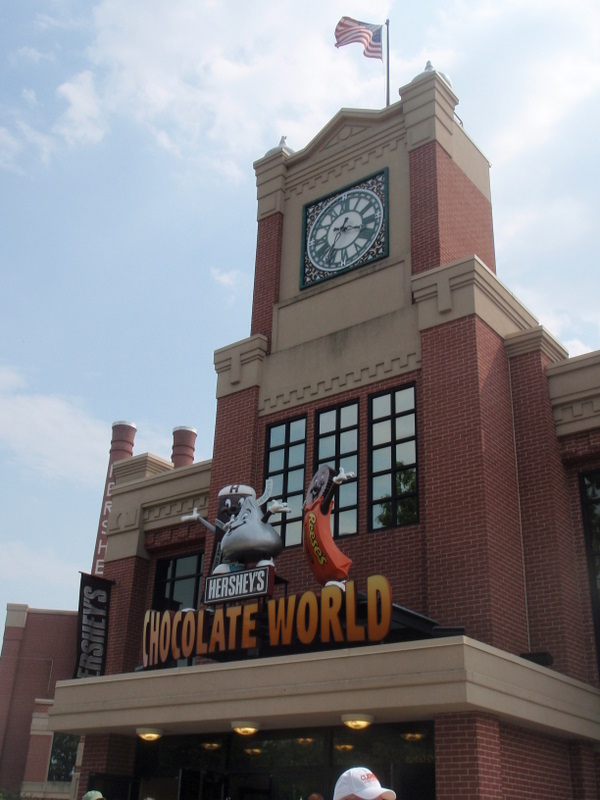 I think half the population of the East Coast thought that Chocolate World would be a great place to escape the heat. We actually had to wait in line for the ride. All seven of us squeezed into one car and we were on our way. 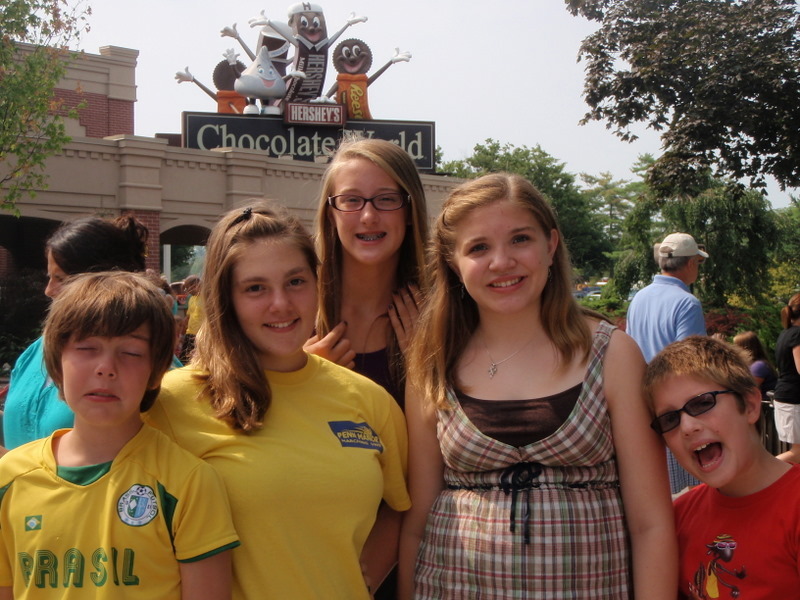 I’ve been going to Chocolate World since I was a little girl. Although it has been updated and technoloigally enhanced, the ride still has the same feel. Observing the processing of the cocoa beans, riding through the “oven”, and seeing the conching room are comfortingly familiar. 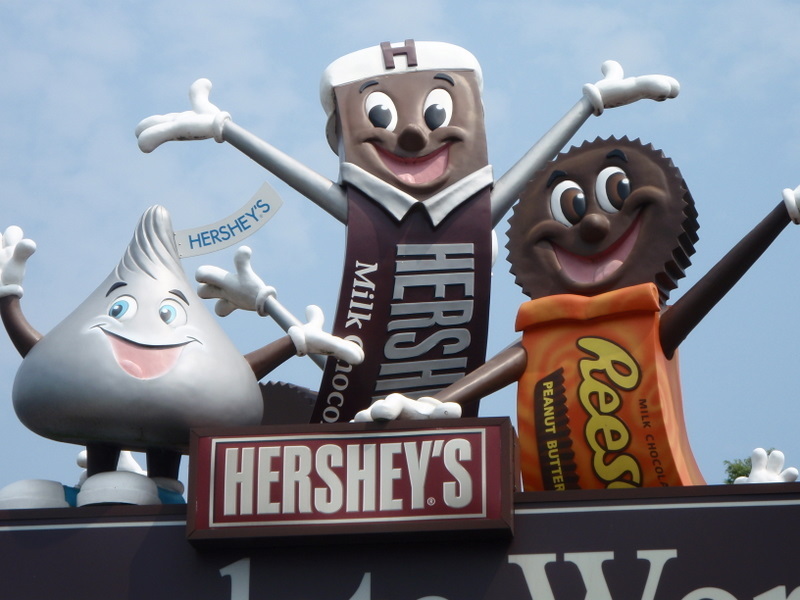 We sang our way through the ride, smelling chocolate and visually devouring all the delicious products Hershey has to offer. By the time the ride was over, I was desperate for a candy bar. Perhaps that is the point of the whole Chocolate World experience. 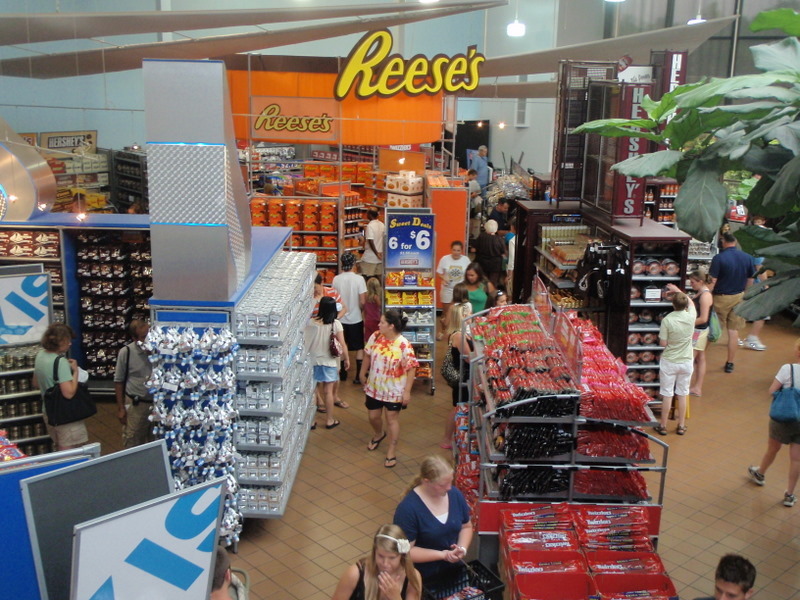 To whip people into a frenzy for candy so that they head to the attached store and buy bags and bags of it. They even hand out free samples at the end of the ride to fuel the fire. We dutifully obeyed our cravings. Karen and I both both departed Chocolate World with bags of candy that promptly melted during the brief walk to our vehicles. Chocolate World does have more to offer than just the free “tour” of their factory. 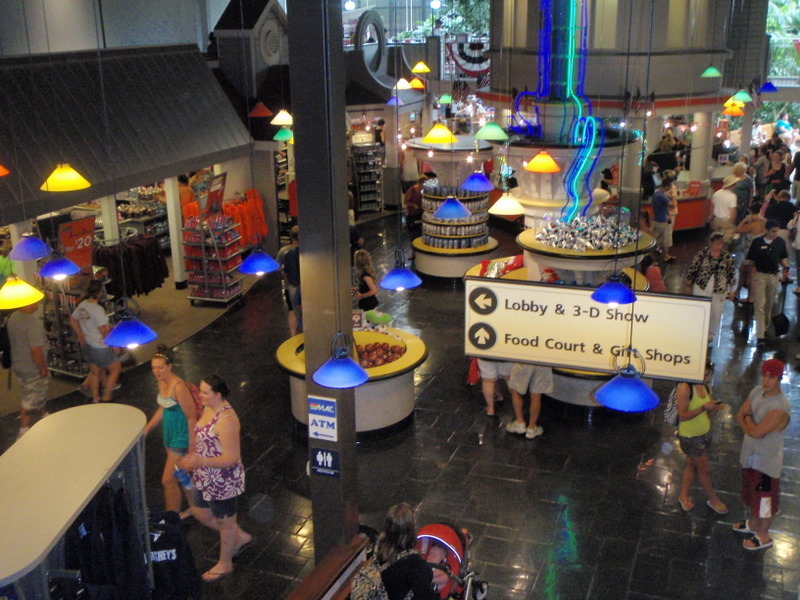 The 3D movie and the candy bar making experience have admissions fees attached. We opted not to do those activites yesterday but they are fun as well. After taking some touristy photos, we headed home with just a brief stop for Slushies at the Turkey Hill. All in all, I’d say it was a deliciously cool way to spend a steamy Fun Friday.